October 2, 2017 — On September 16, 2016, my mom died. The week that followed was a suffocating confusion of grief and shock and depression. The entire time we were back home for the funeral, I found only one moment of serenity. It was the night my wife and I drank gin in that dry house and watched two Boris Karloff movies that my parents had DVR’d for me off TCM before mom passed. I wrote about it last year, but I wrote about it before I revealed the context of my mom’s death. This year, on the anniversary of her death, Lindsey and I decided to do it again. It was a much different situation this time, of course. We’d had a year to heal. We were living in a brand new house from the one where I’d received the news. We had lots of stuff to mix with said gin, and we were surrounded by Halloween decorations instead of funeral bouquets. So we made gin and tonics, and chose a pair of Karloff movies in the moment simply by what was available on our streaming services. It wasn’t a wide selection. First up was the 1940 movie, The Ape. It was directed by William Nigh off a script adapted by Curt Siodmak from a play of the same name. 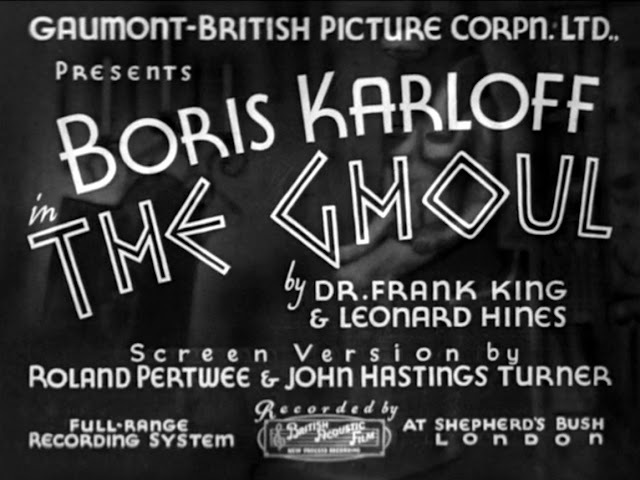 In it, Karloff plays a renegade scientist, as he so often does, but this time one intent on curing paralysis. 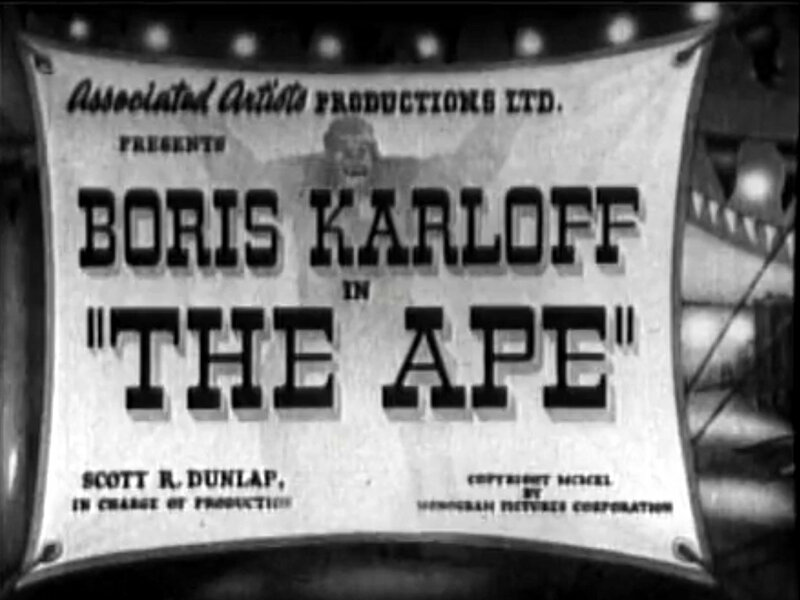 When a gorilla escapes from a local circus, Karloff finds an opportunity to take advantage of the chaos to steal the spinal fluid he needs from victims to create a paralysis serum that he’s working on. He’s doing God’s work through the Devil’s means. Plus an ape. The movie was…kind of awful. Not so much for the story (Curt Siodmak also wrote Universal’s The Wolfman and I Walked with a Zombie). It had a surprising—if completely unbelievable—and kind of satisfying ending (and that plus an ape and Karloff can take you a long way), but, mostly, the flick seemed to be filmed badly. Like the characters were always too far away from the camera and the flick had no atmosphere whatsoever. Which is 80% of what I’m looking for from a black and white movie. But that’s okay, because the second movie in our late-night, double-feature picture show had ambiance to spare: The Ghoul, from 1933. This one was directed by T. Hayes Hunter. In it, Karloff plays a dying professor who worships Egyptian gods and plans to work up some Egyptian magic to resurrect himself from the dead. Except that the ritual goes awry, and he becomes a ghoulish killing machine. Meanwhile, all the other characters in the story are trying to figure out the inheritance situation. I’d actually seen this one before, years earlier, but had never really dug into its context. 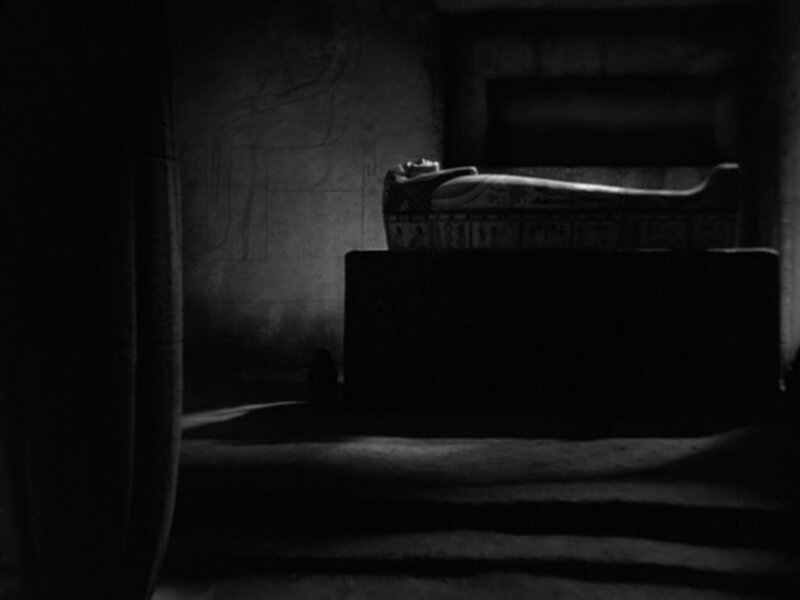 The first thing that struck me is that this Egyptian-flavored movie starring Boris Karloff as a ghoulish killing machine came out the year after Universal’s The Mummy, which was an Egyptian-flavored movie starring Boris Karloff as a ghoulish killing machine. Egyptian-flavor is a mix of desert sand, old linen, and camphor oil, by the way. 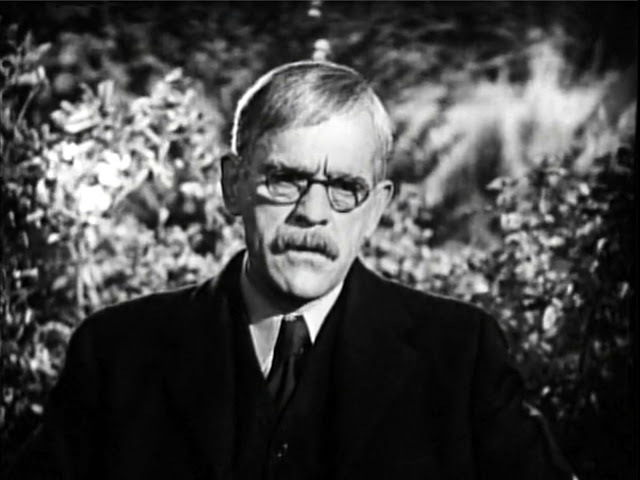 On Wikipedia, they describe the flick as a combination of Karloff’s previous two films, The Mummy and The Old Dark House. Which, now that I’ve read that, it totally is. Like that should be the formula for actors. Take their last two successful movies and smash them into their third. That means that Tom Cruise (let’s pick him because he just did his turn in The Mummy this year), instead of doing Vanilla Sky in 2001, would have done a mash-up of Frank T. J. Mackey from Magnolia and Ethan Hunt from Mission: Impossible II. Now, that would have been a movie. This is a fun game. After I finish writing this, I’m going to go play it with every other actor. In the case of The Ghoul, it sort of worked. 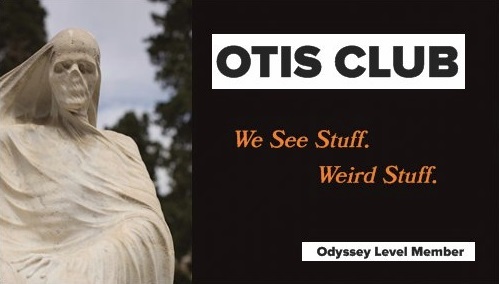 It’s hard to fault a mishmash of exotic paganism, whodunit, and supernatural monster. 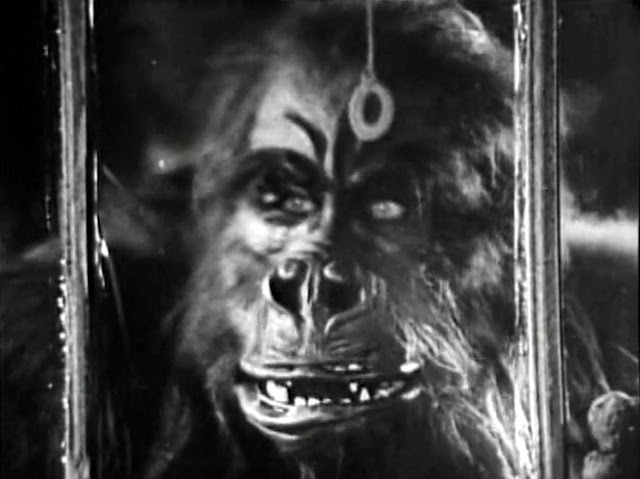 At the very least, The Ghoul beats The Ape, in my opinion. 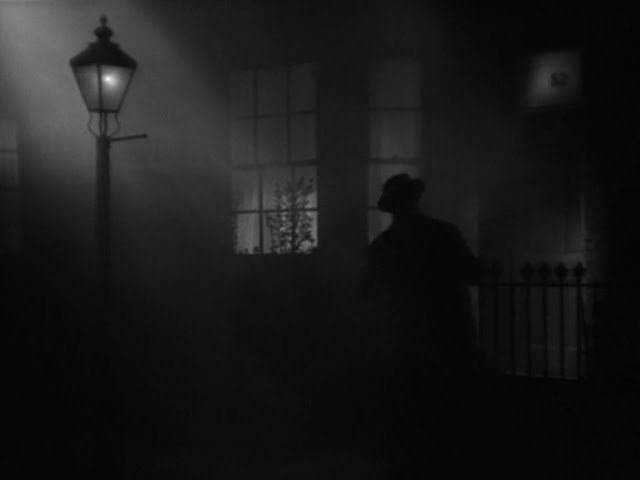 Just on pure style, alone, as the flick is beautifully filmed with a mastery of lights and shadows and sets and framing. 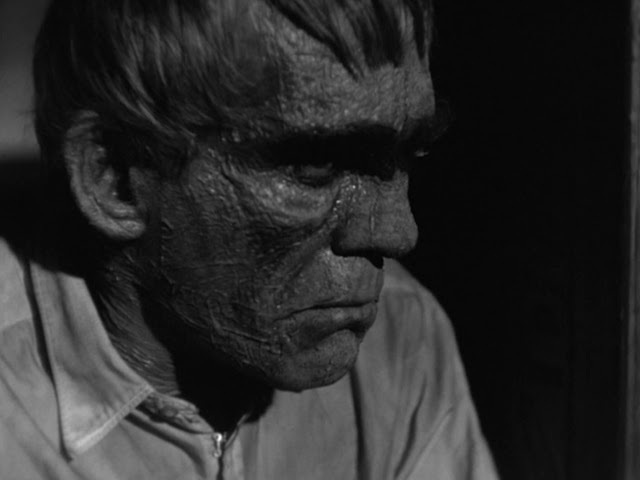 The only things I’d ding the movie on is that Karloff is barely in it, and when he is, it’s under really bad makeup. And that the movie runs a bit too long, even at its brisk 77 minutes. But don’t take my or Levar Burton’s word for it. Watch the movies yourselves. I’ve embedded them below. You’re responsible for the candy corn and rum and ciders. If I’d have told my mom while she lived that we’d commemorate her after her death by watching Boris Karloff horror movies and getting gin-drunk, she’d might’ve been horrified. Or slightly disappointed. Or secretly amused. Honestly, I have no idea. It’s something that couldn’t have happened on purpose.